We can always count on Sean Nicholas Savage to come across as a bit of weirdo in his music videos, and his new clip for "Darkness" from Bermuda Waterfall keeps with tradition. Directed by Angus Borsos (and conceptualized along with Savage himself), the clip for this jazzy, dreamy synth-reggae number shows a montage of vintage-looking photos. 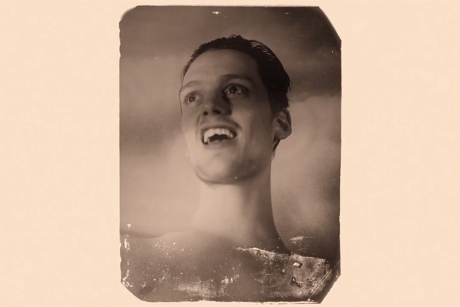 Savage emerges via similar retro-style footage, appearing in sepia tones as he tilts his head strangely for the camera.